The Bentley Bentayga is an all-new 600 hp, 664 lb-ft, 12-cylinder super-luxury SUV, powering all four wheels through an 8-speed automatic transmission it offers peerless performance and unbeatable luxury. Standard features include quilted leather seats and adaptive air suspension while the vast available options list further underlines its luxurious superiority with fold-out rear event seats, lambswool rugs and that $160,000 Breitling timepiece. The Bentayga is the harbinger of a new wave of ultra-luxurious SUVs that currently sits at the top of some already very accomplished competitors. 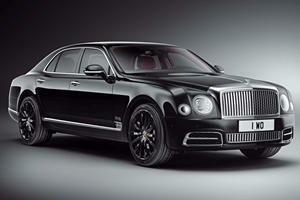 Hand-stitched leather, opulent accessories and endless customization options make this a very special vehicle indeed. The Bentayga is all new for 2017 and with similarly priced and targeted competitors such as the Rolls-Royce Cullinan still at least a year away, it is the default choice for those wanting the very finest SUV around. The quality of the materials and fittings in the cabin is superb, the majority of switches and controls feel solid however a few of the plastic climate control switches and steering-wheel mounted buttons are not up to the high standards set by the rest of the interior. That said, the Bentayga never feels anything but opulent and very special, the perfect stitching on the seats and design details that abound throughout the cabin elevate it above any other competitor. As expected, the seats are supportive and comfortable in both rows, shoppers have the option of either two or three seats in the back however you do lose out on the available champagne and glass holder if you opt for the three abreast option. Cargo space is adequate, option for the 7-seater layout makes for very little space in the back for luggage though. A vehicle of this size and weight should lumber and pitch about when pushed but the Bentayga shrugs off fast bends and tight corners with contempt, remaining utterly composed even over rough road surfaces. The adaptive suspension and excellent sound deadening mean that the cabin remains serene and separated from the outside world too, this setup may not make the Bentayga offer a high level of driver feedback but shoppers at this level have a garage full of sports cars for that. The Bentayga may be the most expensive SUV on the market but it is the most powerful too, equipped with a W12 6.0-liter twin-turbocharged engine it puts out 600 horsepower and a faintly ludicrous 664 lb-ft of torque. An 8-speed automatic transmission and all-wheel drive are standard. Acceleration off the line is ferocious, 60 mph is dealt with in 4.0-seconds and this 5000-pound luxury missile only backs off once it reaches 187 mph. No SUV offers that breadth of abilities and a fair few sports cars will be left in its dust too. A claimed 21.6 overall mpg is impressive too although achieving that figure will require a very conservative driving style. The Bentley Bentayga is available either in base, a fully specced Mulliner trim or launch edition Onyx trim levels. The Bentayga is all about customization so consider the base trim as a starting point from which to create your bespoke luxury SUV. Standard features include 21-inch alloy wheels, Full LED exterior lighting with adaptive headlamps, air suspension with adaptive dampers and ride-height control, 5-seat configuration, 8-inch touchscreen with 60GB HDD, navigation and 10-speaker audio system. Leather headlining, Burr walnut veneer and jewel fuel and oil filler caps are also standard. From here you can choose from 107 different exterior paint colors, 15 premium grade leather colors and a whole host of personalizations limited only by your imagination and wallet size. The Mulliner trim adds to the base spec with 22-inch alloy wheels, embroidered Mulliner emblems, a Naim audio system, Mulliner console drinks cooler, self-levelling wheel center cap badge and LED welcome lamps. The otherwise optional All-Terrain (additional off-roading modes, underbody protection), City (parking assist, collision detection and top-view camera), Touring (night vision, adaptive cruise control) and Sunshine (power sunshades, additional sunvisors) specification levels are standard fitment too. The Onyx Trim trim level is a limited edition option and comes with less standard equipment to allow for even more personalization and it offers unique color and interior trim options as well as a Breitling Cockpit Edition clock which costs as much as the base car. Other models make do with less pricey Breitling clock options. 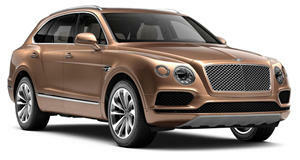 The Bentley Bentayga is more a mobile statement of wealth than simply just another luxurious SUV. Objectively it is the fastest, most opulent and powerful SUV ever built, subjectively it offers well-heeled shoppers the opportunity to own something that can be tailored to be as unique as they are. Standard specifications need bolstering so consider the asking price as a starting point. 100-years of automotive excellence is worth celebrating. 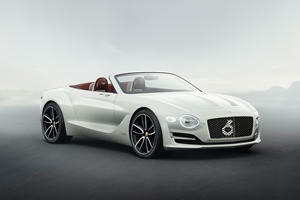 GTs and SUVs are the priority at Bentley HQ. 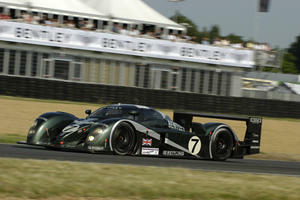 The Bentley Speed 8 will run alongside other Le Mans prototypes for the first time since 2003.